Megastar Chiranjeevi is one of the biggest movie stars in India. After N.T.R, Chiranjeevi went on to become the undisputed No. 1 of the Telugu Film Industry. But the journey to superstardom was not easy. Chiranjeevi’s rise is a classic rags to riches tale and in that journey, the film ‘Khaidi’ is a major milestone. In fact, Chiranjeevi’s career can be classified as before ‘Khaidi’ and after ‘Khaidi’. The movie released on October 28th 1983 and this trendsetting action entertainer was a smash hit. Directed by Kodanda Rami Reddy and penned by Paruchuri Brothers, the movie was loosely based on Sylvester Stallone’s ‘First Blood’. Chiranjeevi’s proficiency in fight sequences and dances made him the darling of an entire generation. Madhavi and Sumalatha played the female leads in the movie and Rao Gopal Rao essayed the villain’s role. Lok Singh handled the cinematography and K.Chakravarthy composed the music. 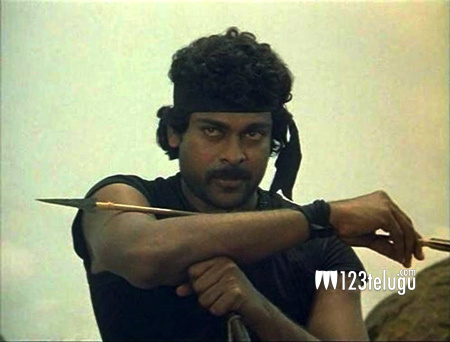 ‘Khaidi’ is 30 years old, but it remains a very entertaining film to this day.